The lack of security in DNS has been a well-known issue for decades, one that the DNS community has been trying to solve since the late 1990s. These efforts resulted in the birth of the DNS Security Extensions (DNSSEC). 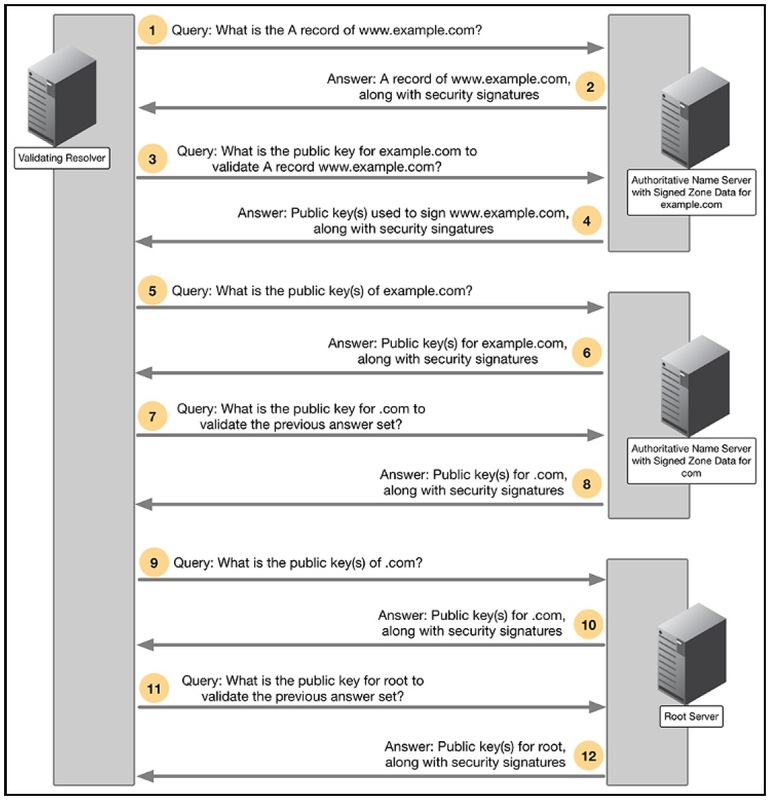 DNSSEC provides answer validation. It does this through the magic of public key cryptography. DNSSEC is backwards compatible. DNSSEC can be deployed side-by-side with traditional DNS. DNSSEC doesn’t encrypt traffic. Although DNSSEC uses both public and private keys, they’re only used for authentication purposes. In addition to stopping cache poisoning and other DNS-based attacks, DNSSEC also bolsters other security features. Many organizations already publish anti-spam information such as SPF (Sender Policy Framework) or DKIM (DomainKeys Identified Mail) in DNS. An example conversation between DNSSEC servers. DNSSEC allows you to authenticate DNS messages. This is a big step forward not just for DNS, but also for the Internet as a whole, because this would be the first time we have a global database that is trustworthy. Download the eBook to learn more about DNSSEC and how to use DNS to secure your network! In this brief volume, we offer a primer of many of the common DNS Security terms you’ll run into, high-level descriptions of the threats you face, and practical solutions that you can implement right away. Like all titles in the For Dummies series, this book features easy-access organization. At the beginning of each chapter, you’ll find a summary of the topics covered, which makes it easy to flip through and find just the information you’re looking for. Don’t miss the final chapter featuring ten easy-to-scan techniques for improving your DNS security. 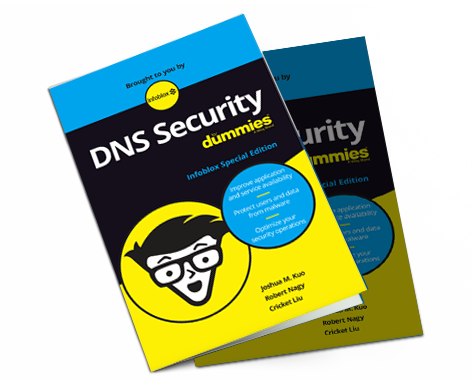 Request your copy of DNS Security for Dummies Infoblox Special Edition today and get the fundamental information you need to protect your DNS. Complete the form below to instantly download this eBook. Learn more about DNSSEC and other related DNS security concepts.